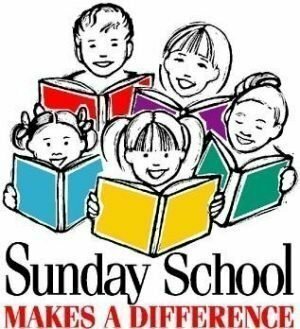 Sunday School classes for children are provided at 10:15 AM (after the worship service), and at the same time as Adult Sunday School / Bible Study. These classes are a wonderful opportunity for children and teaching Sunday School is a rewarding opportunity for adult volunteers to serve God and the church. All adults are welcome and encouraged to attend the adult Sunday School classes while their children are involved in the classes at their level. 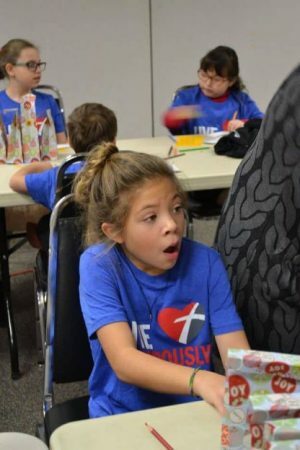 Children work on a Sunday School project.